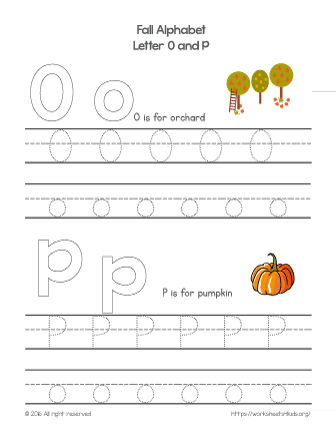 With this fall-themed worksheet your kindergartener practice letter writing skills. He will learn how to trace the letter O and letter P. Then, determine fall words that begin with these letters. O - is for orchard, and P - is for pumpkin.